No, weâ€™re not advocating that system philosophy but itâ€™s still hilarious musical fun. OK, the Sarum isnâ€™t cheap but compared to a lot of the (much more) expensive Hifi â€˜blingâ€™ out there the Chord flagship is purely much more in tune with the music. 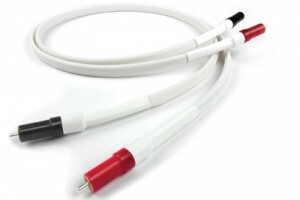 Forget diminishing returns, these cables are head-scratchingly good !